When the teacher has opened the test, it will be sent to the students. 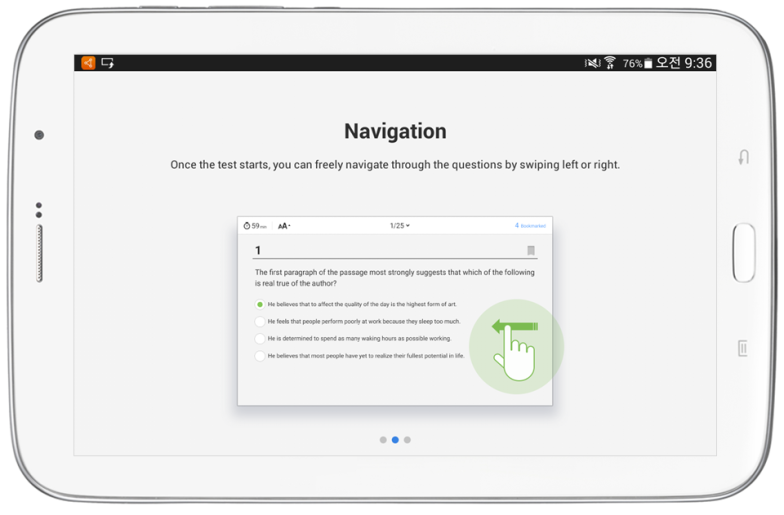 When all the students have received the tests, you can start the test by selecting “start”. When students enter the test session the test will be downloaded and all information or directions regarding the test can be checked. - The “test subject / Group or Class name” is displayed. 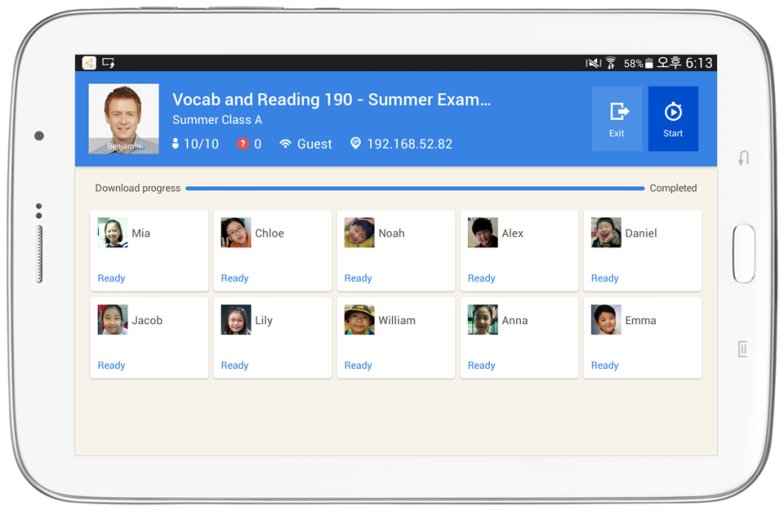 - Student numbers: “Attending students / Total students” and “students not registered for the test” is displayed. - Wi-fi: the connected network name is displayed. 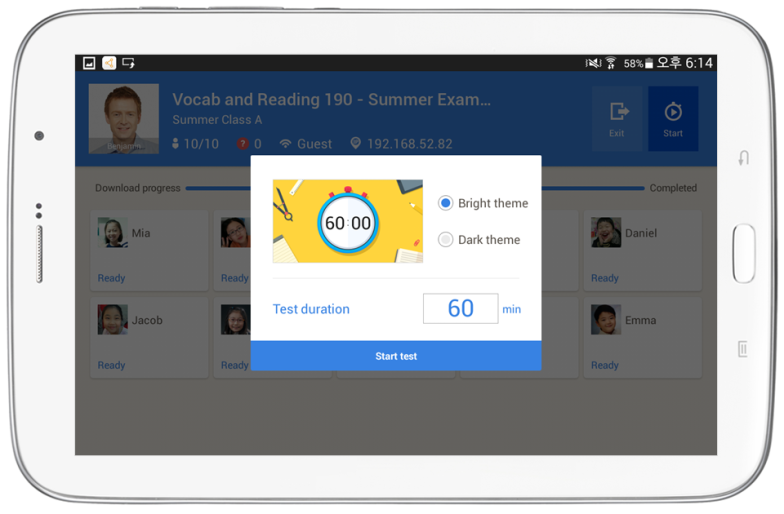 - The sending progress is displayed, and the test can be started once all students have received the test. - If selected, you will exit the screen and be moved to the main “My Test” screen. (No record will be saved since the test has not been started). - A pop-up stating that not all students have received the test will appear if you try to start the test before sending is complete. - Start test pop-up, timer type, and setting time pop-up (The default time is the one originally set but can be edited.